In this two-part series, I offer some tips and insights for single parents who’re dating and those who may be dating a parent. Whether you have kids yourself or are considering someone who does, it’s important to be aware of how both you and they will be affected. Understanding how these romantic developments affect everyone involved is key to being prepared for what lies ahead. First I have a look at the unique and often unexpected challenges that the person with no dependents may encounter on this journey. Dating someone with kids is, of course, different to someone without. For a start, their priorities are different to yours in a way that is hard to fully understand when you’re not a parent yourself. You have control over your time, diary and freedom, whereas they may have to regularly liaise with the other parent and have their calendar limited or made erratic by custody arrangements, (or have children with them full-time). Be prepared that you may be stood up from time to time. Children get sick, have play-date or sitter cancellations and these can result in the cosy meal out you’d looked forward to, being cancelled at short notice. While it might feel frustrating, try to be gracious, understanding and supportive of your date, who will feel equally disappointed and guilty for letting you down. The single parent may have a lot on their plate, but they are likely to have a great deal to offer you: compassion, responsibility, emotional maturity, strength and a ready-made extended family. Dating is a precursor to marriage and dating someone with kids is a precursor to step-parenting, a role that comes with great responsibility but often very little support. Nature gives biological parents (with a few exceptions) a fierce bond of enduring love with their offspring, a tool that assists invaluably in the act of raising and bearing with them, no matter how hard things get. 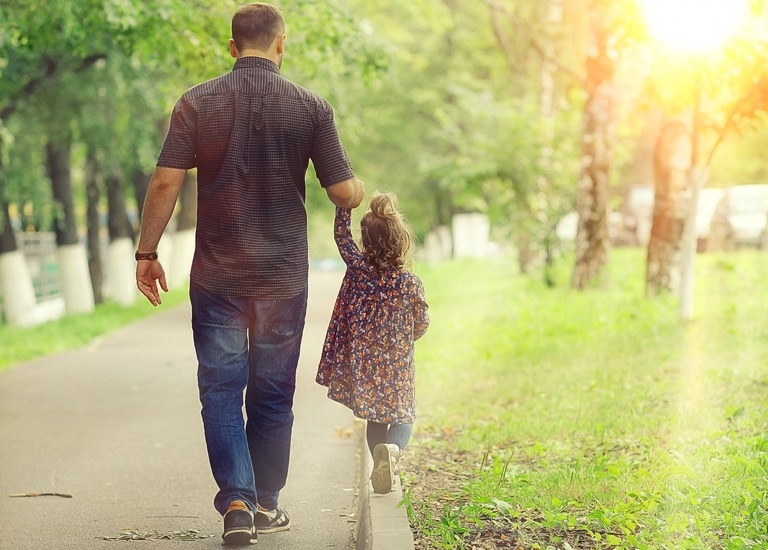 Foster and adoptive parents undergo substantial training and professional preparation, but as a step-parent, you must take on an unclear and tricky to navigate pseudo-parental role without any of this. And if you’re a woman you have the added stigma of being forever associated with wicked fairytale characters. So if it’s perfectly normal for biological parents and primary caregivers to have a network to help, then you must consider it to be so for you too – even in the early days of starting out in the relationship. Seek out others who’ve worked through the process themselves and make the most of the same people you’d go to for advice if it were your own children: parents, grandparents, friends who are parents/teachers/carers and parents/teachers/carers in your community. You’ll have a lot to catch up on in terms of understanding kids and even though you’re not in charge of their upbringing, you’ll have to get involved to some degree, so if you’ve not spent much time around young people you might be feeling well out of your depth once you find that you are. Especially if you’ve been living alone for a while, the reality of having your peace, tranquillity and order shattered, can be quite a shock to the system, but once you get used to it, it can also be incredibly rewarding, meaningful and fulfilling. You’ll have your own views and imaginings as to what your involvement would be with the kids, but the reality may be entirely unpredictable, changeable and quite likely not as you’d envisaged. Be prepared to stand in a soggy field watching sports in the rain, to sit listening to a discordant band and eat dodgy home baking – and be prepared to feel your heart unexpectedly burst with pride and love for them too. There’s something intrinsically divine about making the choice to love children who are not your own. It takes buckets of patience, understanding, selflessness and compassion (and if you think you might be lacking these qualities, it’s a great way to develop them!). You’re in a wonderful position to positively influence and enrich young lives that have inevitably been hurt by a loss on some level. It may not be easy, but it will be worth it.